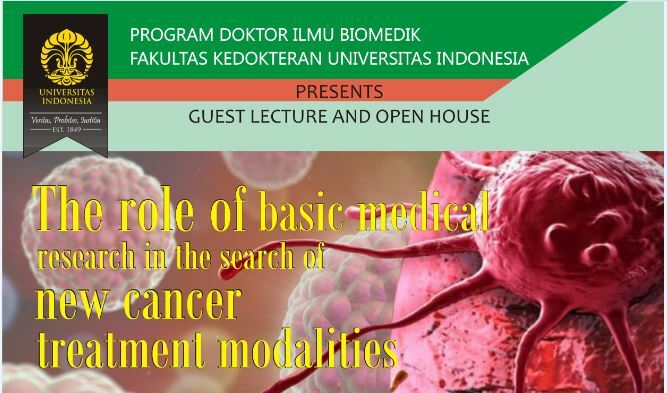 Program Doktor Ilmu Biomedik Fakultas Kedokteran UI “Presents Guest Lecture and Open House” yang berjudul The role of basic medical research in the search of new cancer treatment modalities. I read this article and found it very interesting, thought it might be something for you. The article is called THE ROLE OF BASIC MEDICAL RESEARCH IN THE SEARCH OF NEW CANCER TREATMENT MODALITIES and is located at https://perpustakaan.fk.ui.ac.id/site/role-basic-medical-research-search-new-cancer-treatment-modalities.